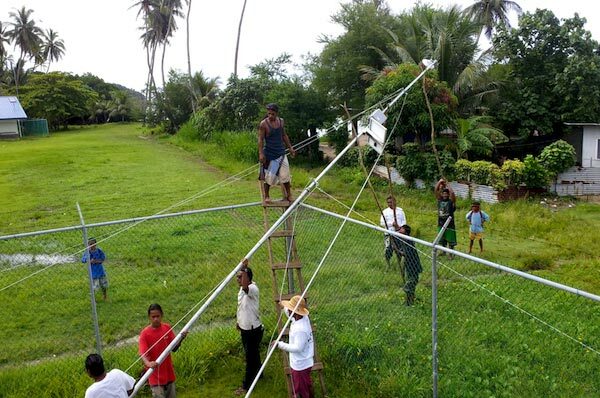 Two long-distance, solar-powered wireless point to point connections were set up in the Micronesian Region of the Pacific in early August 2012 as part of the Pacific Island Schools Connectivity, Education, and Solar (PISCES) Project (http://www.piscespacific.org/livesite/),a multi-partnered endeavour focused on training and local capacity building vis-à-vis solar-powered information and communications technology (ICT) within the Pacific region. 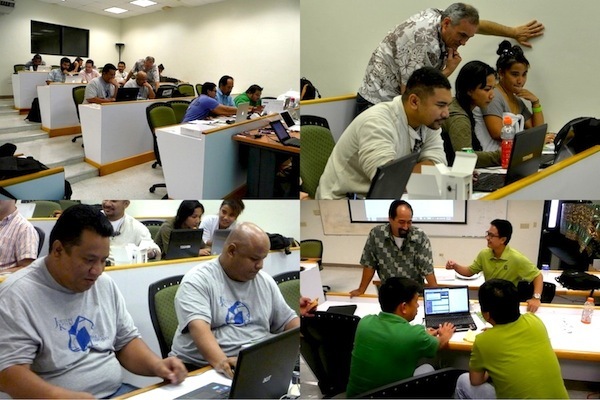 The first half of the PISCES project was a hands-on training workshop on Solar-powered long-distance WiFi technology at the University of Guam. The workshop focused on WiFi technology, standards, solar power, site surveys, project safety, and link planning tools. The workshop provided plenty of opportunities for hands-on experiences, with each afternoon’s activity consisting of a one-to-three hour lab in which students actualised the practical information from the morning’s lecture. 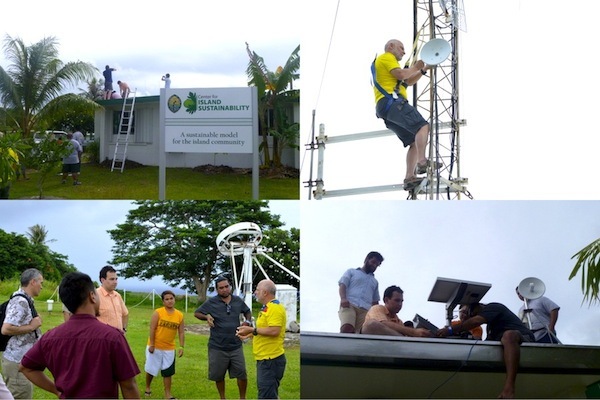 On the final day, the students set up a solar powered point to point high bandwidth link in the Centre for Island Sustainability, replacing an older, slower link to the Internet. 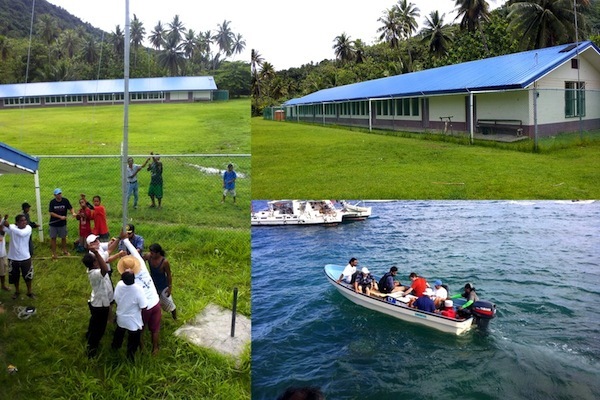 For the second half of the PISCES project, the team travelled to Chuuk, one of the Federated States of Micronesia (FSM), and installed both a solar-powered long distance WiFi Internet connection and a Solar-Computer-Lab-in-a-Box at a primary school on a previously un- connected island, Udot, in the Chuuk lagoon. 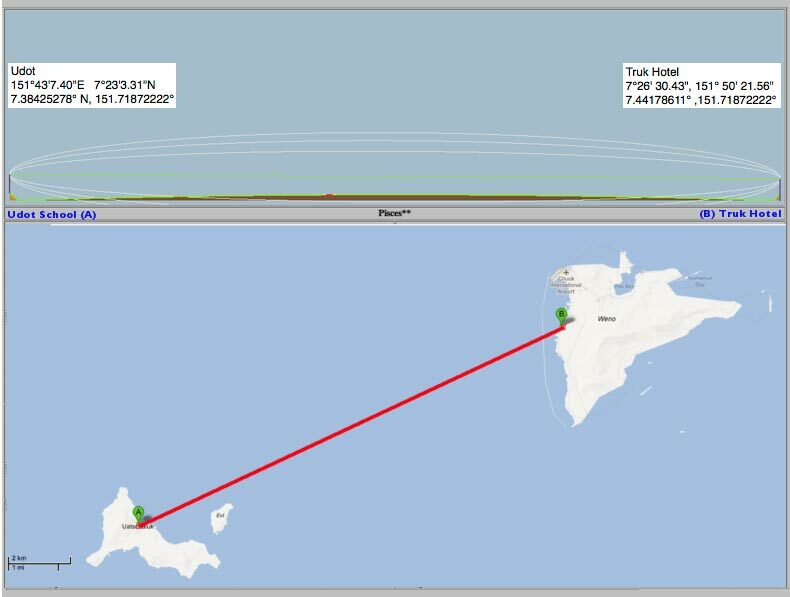 Figure CSP 3 : The Internet connection for the Udot School originated from Chuuk’s main Island, Weno, 15 km away. The Ubiquiti Networks WiFi hardware installed in Weno was mounted on the 3rd story roof of the Truk Stop Hotel, which offered the height necessary for line-of-sight to provide connectivity across the Chuuk Lagoon to Udot Island. The single-level school on Udot required a 40-foot (12 m) pole mast on which to mount the Ubiquiti Networks WIFI antenna/radio. Local community members joined in to help when the heft of the pole mast proved too heavy for the PISCES team to raise alone. With team members on each island, the antennas were lined up and connected to each other. The network was then routed through a local DSL Internet connection to provide Internet connectivity to the school, and the surrounding local community. Each WiFi unit is powered with a solar photovoltaic system, which consists of a 30 watt solar panel from SolarLand USA, solar charge controller with Power over Ethernet, and 38 amp hours of battery back up. The unique Solar-Computer-Lab-in-a-Box deployed at Udot school was developed by students at Illinois Institute of Technology. This turnkey computer lab is designed to be as close to plug-and-play as possible for off-grid environments. It includes six Intel Classmate laptops, solar panels and mounting gear, a charge controller, wiring, and laptop security equipment, all contained within a uniquely-designed and ready-to-ship box that straightforwardly transforms into the computer lab’s table. The PISCES Project received funding support from Google, the Pacific Telecommunications Council, and the Internet Society. University of California, Berkeley’s TIER research group. By Bruce Baikie and Laura Hosman, assisted in the field by Marco Zennaro and Ermanno Pietrosemoli from Ictp.